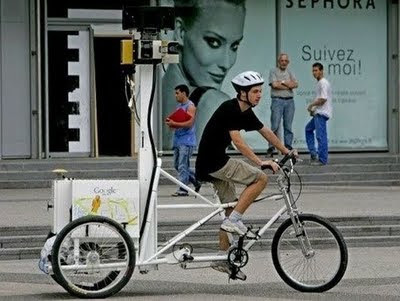 It's probably pretty strange looking if you saw it on the street - a tricycle equipped with nine cameras, a GPS, a computer and a generator. This is Google's high-tech 3D camera equipment designed to go places cars can't. It is currently being used in Paris where Google has hired two young riders to go through gardens, parks and historical areas not accessible by automobile.